PowerPoint is a very well know tool that comes as a part of MS Office suite. Often people use it to create presentations for different purposes. Generally, PowerPoint files are larger in size and have a complicated file structure due to which they are prone to corruption. 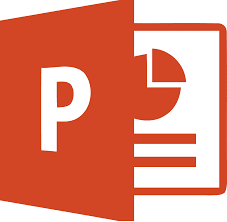 It takes a lot of efforts and hard work to create a PowerPoint presentation in MS PowerPoint, but due to corruption it could be useless. Like every other computer file, PowerPoint presentations can corrupt or also become inaccessible at any time. When a corrupt PPT file starts sending you error messages while opening, it is an indication of corruption, which could be major or minor. Let's check out some common solutions that you can perform on your corrupt PPT files in order to repair them or to retrieve the content. 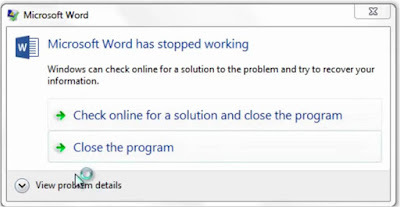 Above image shows the BEX error for MS Word. When a user will click on the “View problem details” option then, a detailed error message will be appear on the screen. MS PowerPoint – How to fix the error "PowerPoint can’t open of file"
Just think of it!! Whole night you spent in creating PPT for next day meeting but, when you try to open the file at office it says “PowerPoint can’t open of file represented by C:\Users…..” so, what will you do? This is only one situation which I have discussed to you. A user can face the many worst conditions with MS PowerPoint error. As a blogger and reader I always give the importance to PowerPoint presentations but I also faced corruption in the .ppt or .pptx files. In this article, I will discuss the solution to recover from PowerPoint corruption. This is the first solution that, I will suggest to all users. Every program has a default location to save its programs. User can also choose the location to save that file. If user is getting this problem repeatedly then move the .PPT/.PPTX file on the different location and reopen it.